Hello lovelies, i hope all of you are having a great day. Today i am here with a delicious review. I am reviewing Zchocolat's Zbox 15 (Traditional Assortment) !! Thankyou so much Zchocolat for sending me these delicious chocolates, all the way from France. 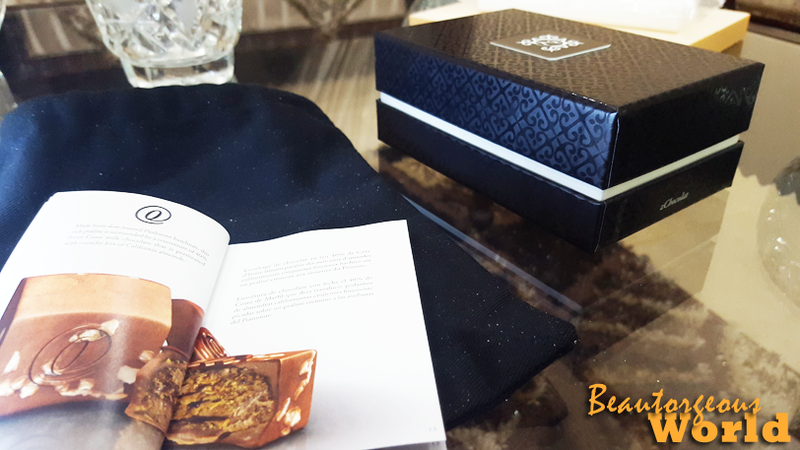 Zchocolat is committed to elevating the art of gift giving to a new level of personal expression and one that assures the sender will make a grand and lasting impression anywhere in the world. 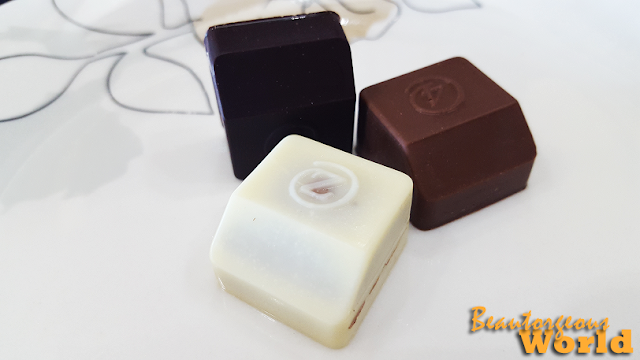 Zchocolat has created a single shape chocolate with 26 recipes numbered from 0-24 plus the Zchocolate.Each chocolate is made with fine cocoa and fresh local ingredients, low in sugar, no preservatives, no alcohol and 100% pure cocoa butter. 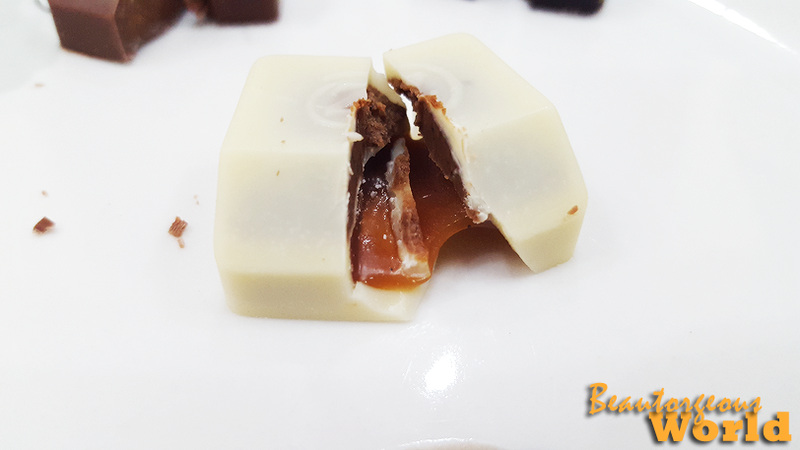 Before i even begin bombarding you guys with the delicious looking images and my review, i would like to tell you, these chocolates reached to me in exactly 2 days , which is like the fastest shipping ever. Because of their services Zchocolat for the 4th consecutive year has been awarded the 'Customer service award' from the Better Business Bureau. 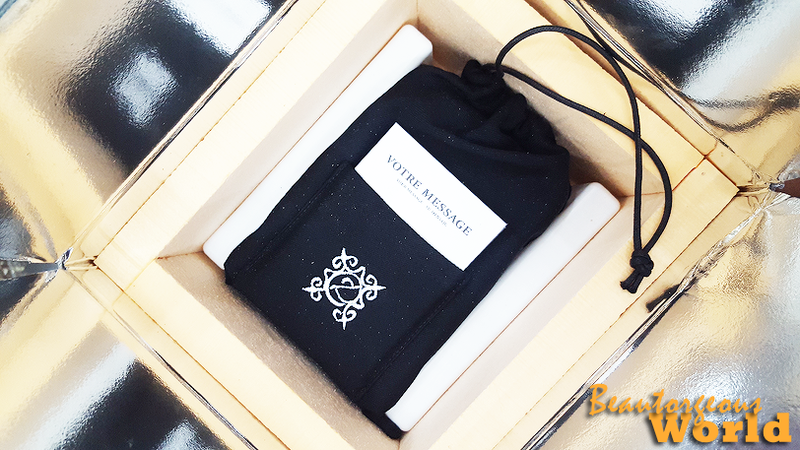 Zchocolat comes in the most luxurious packaging ever. This kind of presentation can woo anyone anywhere and not just me ! These chocolates came in a big tightly packed box. 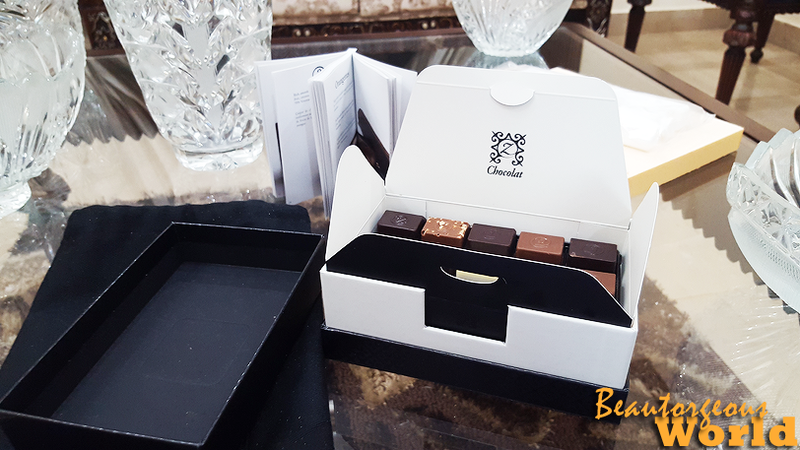 As soon as i opened the box , i saw the chocolates were surrounded by 4 cold ice slabs to keep the chocolates from melting. 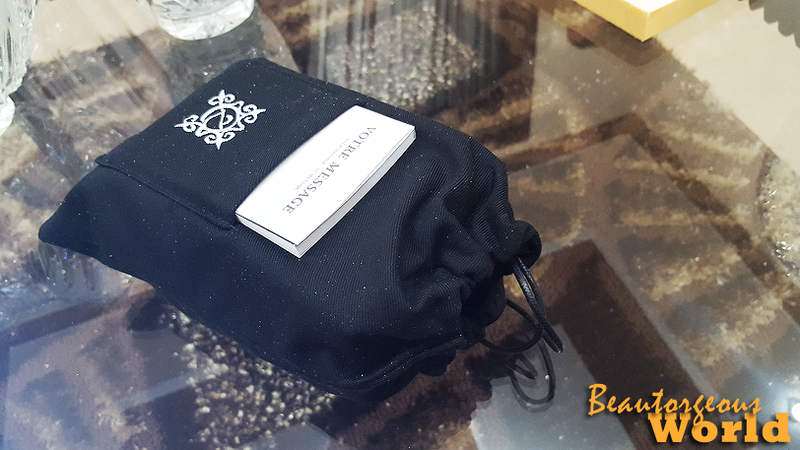 The box of chocolates comes in a pouch with a pocket. In the pocket i found a booklet with information about Zchocolat and a card from Margaux who was generous enough to send me these delicious treats. Tell me guys if this is not the most luxurious packaging ever seen by you? (atleast i have not seen this kind of amazing presentation of chocolates ever). 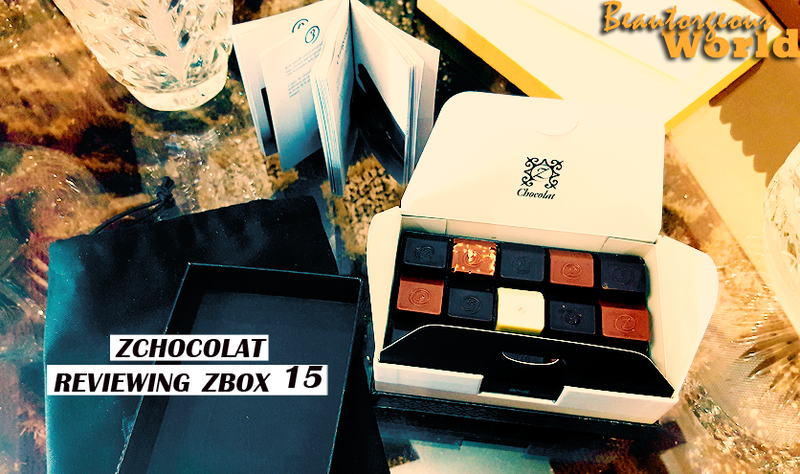 The Zbox 15 has 15 similar shaped chocolates but they all taste different from one another. This box is laden with chocolates from 0-11 plus three Z pieces. 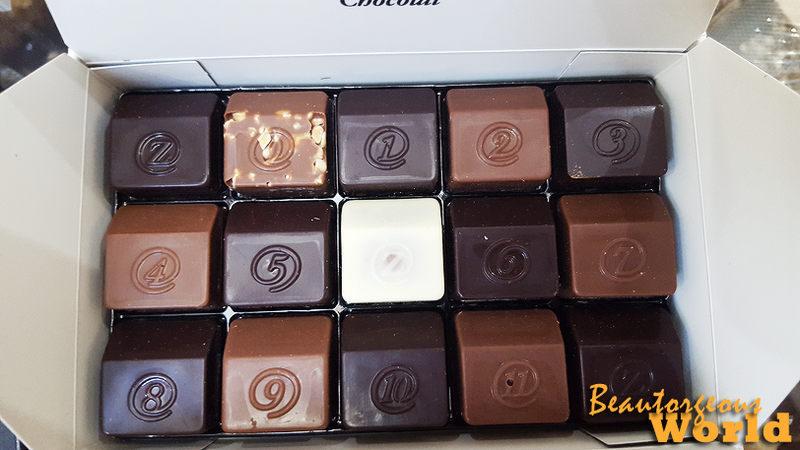 This particular box had one white chocolate,8 dark chocolates and 6 milk chocolates. The best part is, the ingredients used in the chocolates are fresh plus no alcohol is used (being a muslim it is a big plus point for me). You just need to checkout the images above, is there any doubt that i won't recommend these delicacies to you??? If you are a chocolate lover like me (they in no way can be compared to other chocolates you might have eaten), you need to taste these out !! 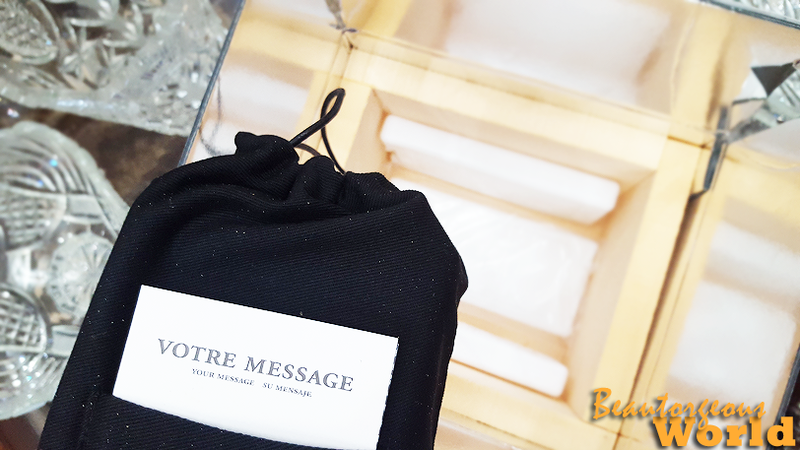 Plus what better gift to give to your spouses or your loved ones than these luxuriously packed box of chocolates to show your love. For more information about Zchocolat , visit their website: Zchocolat. This is all for today, i hope you enjoyed reading my review. 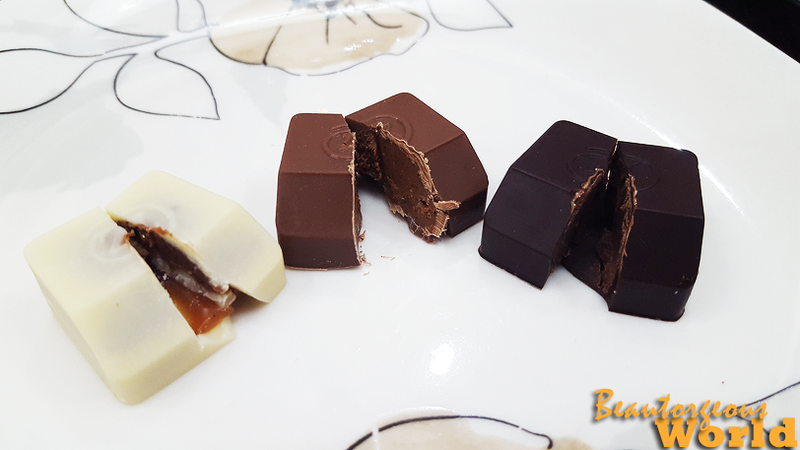 Have you guys tried Zchocolat, if not then would you guys like to try these? Leave your responses/suggestions/comments in the comment section below. Thankyou so much for visiting. Great post! These looks so delicious!! Would you like to follow each other on GFC, G+ and Facebook? I'm following you, so you can follow back! Those chocolates look so yummy! That looks so yummy!! Thanks for your comment, following you via GFC. It´s about 9:30am, no breakfast and I´m seeing this post.... You "kill me"! I have to check th«is website! Thanks for your message on my post and it´s a pleasure to know your blog. I´m following on G+. If you want to follow each other on others social media please let me know dear. Kiss from Portugal and have a great week. 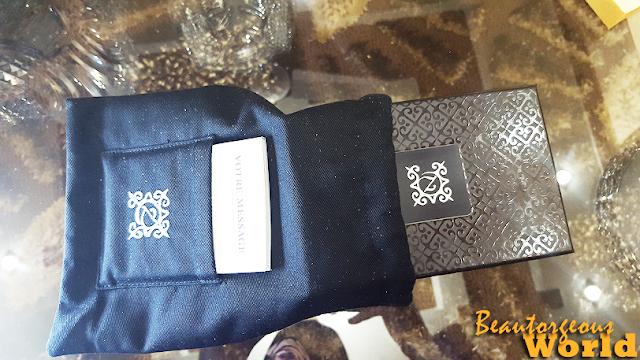 But how wonderful, I unfortunately do not find this brand .. Thanks for follow, following you! Great post! Look so delicious! It´s really nice review! It looks so delicious! It's look so delicious! Great and beautiful box!